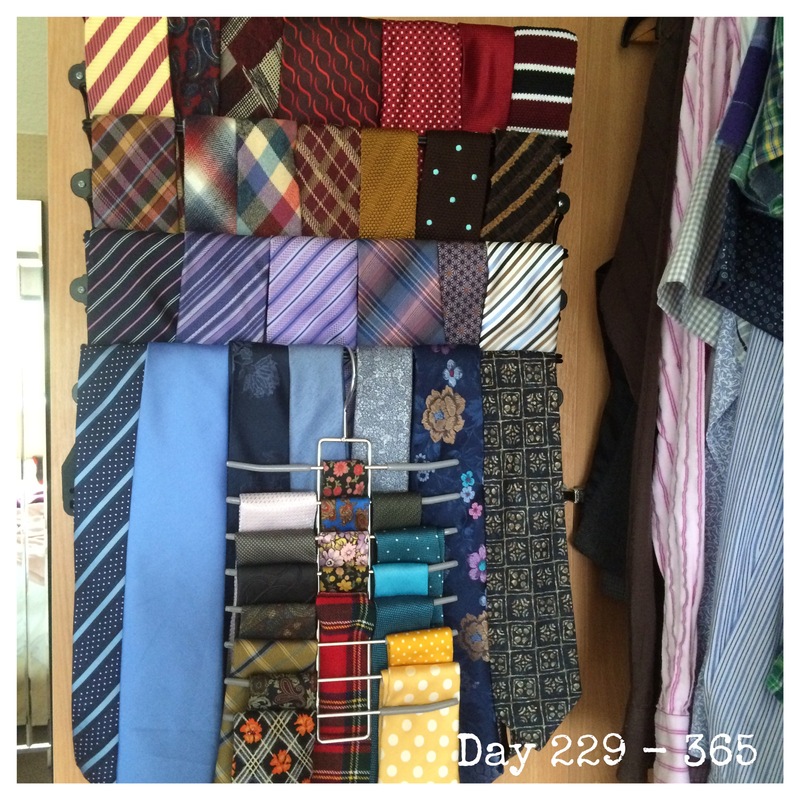 That is how many ties I own. In an effort to keep them tidy and to be able to see what I have when choosing a tie to wear, I have put four hanging racks onto my wardrobe door. Now I can keep my ties tidy and visible. And, somewhat colour co-ordinated.